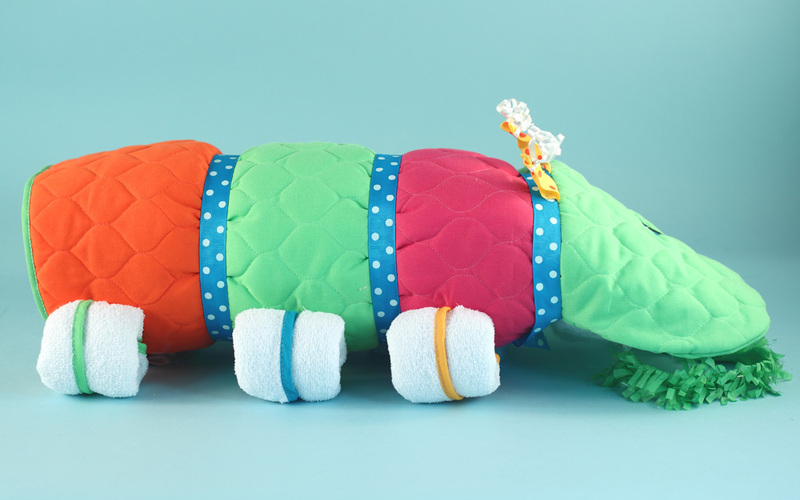 Everything about this exciting Caterpillar Unisex Baby Gift from Silly Phillie says change. A Caterpillar that's actually a Changing Pad Caterpillar's are well known for changing their appearance but this one morphs into one of the most adorable and colorful changing pads for baby. 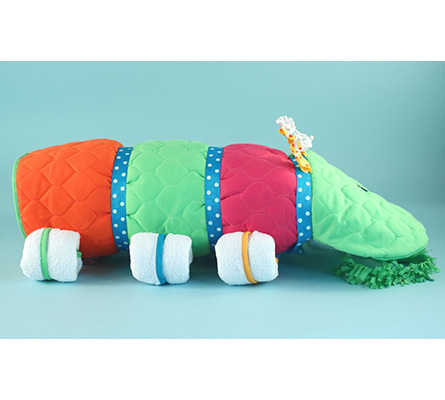 An essential layette item, the changing pad is proudly made in the USA from a soft two ply quilted fabric, and is sufficently large at 28" x `18" to provide comfort and support for baby during diaper changes. It's also portable for when the new parents are on the go, and it'll keep it's good looks after many washings. 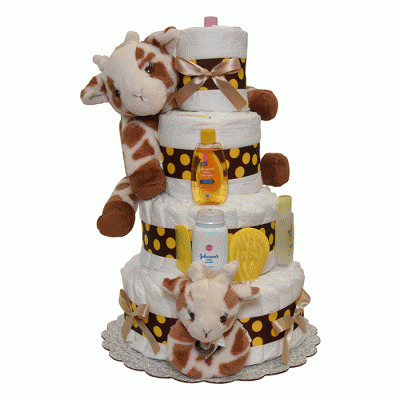 A Caterpillar diaper cake too In addition to to the changing pad we've included newborn diapers to make changing baby a snap. The new parents we'll really appreciate the combination given the amount of diaper changes their bew baby will need. Complete Gift Contents Caterpillar character quilted fabric changing pad Hooded terry towel Flannel receiving blanket 3 terry washcloths 12 newborn sized diapers Size & Presentation The Caterpillar Changing Pad gift is a large incredibly cute and colorful gift that comes artfully assmebled by hand, then wrapped in tulle for a fabulous overall gift impression. 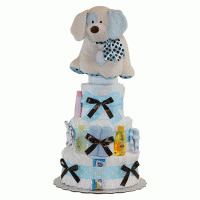 At 26" x 16" x 8" this gift is large enough to be used as a baby shower centerpiece for either a baby boy or girl. 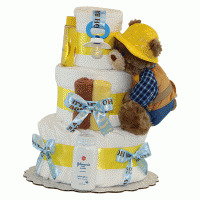 Personalization Available The gift as shown above is priced at $60.00. For an extra $7.50 you can have baby's name beautifully embroidered on the front of the changing pad to make this a unique personalized baby gift. Make sure you choose that option above and add baby's name in the text box. 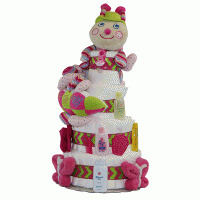 Why not make a change today and choose this new and exciting Caterpillar as your next baby gift.